The Commission proposal for the review of the Energy Efficiency Directive is a key file of the Clean Energy Package adopted by the Commission on 30 November 2016. 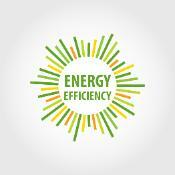 "Energy efficiency first" is a key element of the Energy Union, which this proposal puts it into practice. The proposal for a regulation of the European Parliament and of the Council on the Governance of the Energy Union was put forward by the Commission as part of the package ‘Clean Energy for all Europeans’. The proposal for a directive of the European Parliament and of the Council amending Directive 2010/31/EU on the energy performance of buildings (EPBD) was put forward by the Commission as part of the package ‘Clean Energy for all Europeans’. The main objective of this proposal is to accelerate the cost-effective renovation of existing buildings. The building sector is the largest single energy consumer in Europe, absorbing 40% of final energy and about 75% of buildings are energy inefficient. 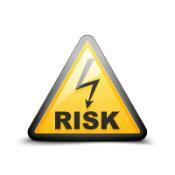 The proposal for a regulation of the European Parliament and of the Council on risk-preparedness in the electricity sector has been put forward by the European Commission as part of the Clean Energy Package and repeals Directive 2005/89/EC. The proposed regulation is intrinsically linked to the proposal for a regulation on the internal market for electricity (2016/0379(COD)) and the revised ACER Regulation (2016/0378(COD)). The proposal for a revision of the Regulation establishing the Agency for the Cooperation of Energy Regulators (ACER) forms part of the “Clean Energy for all Europeans Package” and is closely linked to other files of the package, in particular those related to the electricity market revision.